One series of complaints in the wake of Hurricane Irma came from some individuals who had installed solar electric PV systems and then were unable to use the produced solar power when the grid was down. Generally, homeowners have spent thousands of dollars for a PV system, and when the storm clouds parted and the sun came out on the rain-soaked streets, these homeowners expected to be able to use the electricity being generated by their PV modules. Yet, to be sure, thousands of other households that had installed solar systems were able to use those systems when the sun was out to run refrigerators, charge phones, and even run small air conditioners. What was the difference? And how did the many solar electric systems in Central Florida fare in the wake of Hurricane Irma? Hurricane Irma was one of the strongest hurricanes to strike Florida in years. A common concern with rooftop solar systems is the question of how many would still be operating after a major hurricane? Would they survive the brutal winds? As it turns out, almost all were still operating. I learned this from surveying installers in Central Florida to see how things fared. To begin, it’s important to understand that, by design, grid-connected systems turn off when the grid is down. This is seen with all PV systems without battery backup. To protect those restoring power to the disabled grid, PV systems stop sending power back over the power lines when they sense that line voltage is lost. This protection is essential. Off-grid systems with battery backup can work well when the grid is down after power interruption, but the vast majority of the roughly half a million PV systems in the US are net metered — not off the grid — and without batteries. However, this problem does not extend to all grid-tied systems. Some of the newer SMA “Sunny Boy” inverters feature SMA’s Secure Power Supply (SPS). This is an add-on component that provides two 120 volt plugs from the inverter during a power outage that can provide up to 16 amps of loads (2000 watts). Post-Irma, many of those in Florida with these systems were able to plug in refrigerators, phones, and fans when the sun was up. A key recommendation to those installing net-metered PV systems in Florida is that these systems should be preferred unless battery backup systems are installed. Currently, the SMA inverters with this feature are the TL-22, TLS-US, and US-40 inverters. I spoke with two prominent solar installers in Central Florida after the hurricane: Jim Spann with Brevard Solar and Michael Brown with Solar-Ray, Inc. Between the two companies, nearly 2,000 solar systems have been installed in Central Florida. Brevard Solar had installed more than 800 systems at the time Irma struck. About 50 of his systems were located in the Jacksonville area, another 250 around Tampa, and the other 500 in Brevard County along the Space Coast. Typical installed system size is around 8–10 kWdc with two inverters, each with a secure power supply plug. His company had installed more than 33,000 solar modules/panels by the end of summer 2017. Only 8 modules of the 33,000 installed came off in the storm, and all of these were on ground-mount systems. There were no problems with roof-mounted systems, which Spann attributed to the stout 150 mph-rated, 3-rail roof-mounted system design which they typically deploy. Moreover, virtually all of the systems were still operating when the hurricane departed, as Spann was able to determine with monitoring from his office, where his own solar with backup power allowed normal operations. Of the 800 systems, about 680 of these were centrally monitored SMA inverter systems and Spann was able to see error codes and status of the systems the next day. All were operating, although most were no longer connected to the grid. Of the 680 systems with the secure power supply plug, Spann reported that all but 12 operated as intended. Indeed, Brevard Solar was able to monitor how its customers were using the secure power supply plug in real time! However, he did note that some newer refrigerators drew more power than the secure plug could provide on startup (this likely comes from the unit attempting to go into defrost with defrost heaters when re-powered). Spann estimated that about half of his customers were able to operate refrigerators successfully during the daytime hours with the secure power supply in use. I spoke with one of these customers who was able to use the secure power for operating a refrigerator during daytime, making ice and chilling down the contents such that without opening the refrigerator at night, he was able to operate normally and lost no food. Brevard Solar also had some 30 systems with battery backup. These were generally SMA systems with TL inverters and Sunny Island battery systems. All but one of these worked well. Although, Spann noted that users often had optimistic ideas of what their typical loads were like. In the one system with troubles, the homeowners were operating a number of freezers and refrigerators such that by about 5:00 AM, the system was going off on low-voltage disconnect (LVD). Although he sees the market now expanding after the experiences of the last two years, he is not a big fan of current battery backup systems. 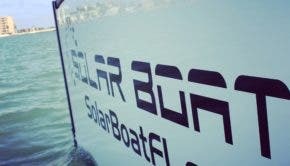 They typically cost $10,00–15,000 installed and also reduce the grid output of the solar systems involved by between (5–10%) — because of the need to float-charge the batteries. Spann’s recommendation for resilient power in the wake of storms was that the secure power supply from the SMA inverters be operated in conjunction with a standard gas-powered generator to greatly reduce fuel use and daytime noise. He did note, however, that the fact that you were not running a generator during the daytime did not mean you’d be insulated from noise since neighbors to either side would often be operating generators as well. Spann’s view is that the best future operation is to use solar systems with inverters with the secure power supply in conjunction with an electric automobile with vehicle to house (VTH) as an emergency battery system. We note that such a configuration is already available in Japan with the new Nissan LEAF, which features this capability with up to 6 kW available for emergencies or peak shaving. When will this important feature become available in the U.S.? It might be noted that there are aftermarket kits for the 2011–2015 Chevy Volt which allow a similar capability. Plus, that car has a large gasoline-powered generator built in. In any case, it seems inevitable that PHEVs and EVs will be used in the future as emergency batteries at least in a limited fashion. Thus, having an electric or plug-in electric vehicle may provide potential for an emergency home battery or even a generator too, in the case of the Volt. Spann further indicated that fully a third of his customers already have an electric or plug-in electric vehicle or are planning to purchase one. He did indicate that they were now installing more SMA Tripower inverter series that are “storage-ready” to add Tesla Powerwall, Sonnen, or other such evolving battery systems. He also noted that these systems typically cost around $6,000, but do not include the electrical work necessary to set up a sub-panel for critical loads (an absolute necessity). This adds another $4,000 or more to the cost. Some 680 of the SMA systems had secure power supply systems such that homeowners were able to use secure power plugs to operate refrigerators, battery chargers, and even some small window air conditioners when the sun was out. Michael Brown of Solar-Ray, Inc., a large experienced PV installer in Central Florida, had over 1,000 rooftop systems in field when Irma struck. More than half of these were centrally monitored so that Brown, in his office with PV and battery backup, could trace the health of the systems as well as see the grid go down as the storm moved though. Figure 3: Michael Brown with Solar-Ray, Inc. The other real solution is to have a PV system with battery backup, that allows full islanding, like the Sonnen or Tesla Powerwall systems. Islanding is the ability of PV system to directly serve connected household loads while being isolated from the utility grid during outages. This is important so that no electricity is fed into the grid that could potentially injure utility workers who are doing the important work of repairing downed power lines. Full battery backup allows the PV-powered home to operate essentially as an off-grid home with batteries in the event of power failure. 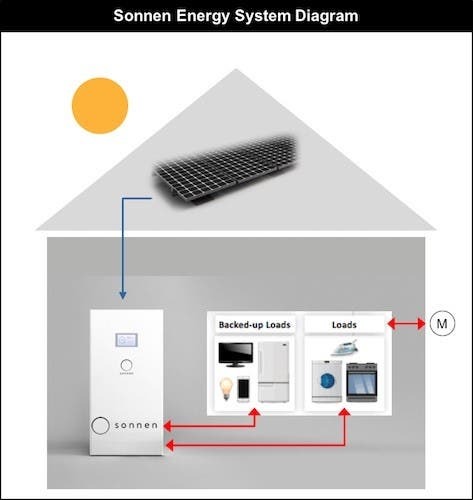 Two example battery systems are the Sonnen and Tesla Powerwall 2 systems. The Sonnen Eco system has 4–16 kWh of battery backup, depending on the configuration purchased (10 kWh being popular) and the Tesla Powerwall has 13.5 kWh. While these systems allow full use and flexibility of the PV system with batteries, they remain expensive. For instance, the Tesla Powerwall system sells for $5,500, but installation is often $4,000 or more with various fees and approvals that can be involved. Figure 4: Tesla Powerwall and Tesla Wall Connector. Of the thousand systems that Brown evaluated post-Irma, he found problems in a number of the battery backup systems. “Most of these problems traced to old batteries that were not maintained.” But Brown also saw problems with newer AC-coupled systems when the systems were operated to the point that they went offline due to low-voltage disconnect (LVD). Brown’s solution to these problems is to favor charge controller type systems such as the Outback series. Still, he agrees that this capability can be immensely helpful in the case of a sustained power outage. Indeed, in his own office, between a good-sized PV array and several kWh of battery backup, he was able to operate normally in the critical week after Irma. ♦ Refrigeration: Without refrigeration, food is lost and the ability to run and feed a household is severely compromised. ♦ Lighting, fans and charging: One needs lighting to see and modest amounts of power are needed for radios and phones. Without air conditioning, fans are a must, as it is otherwise very difficult to sleep in muggy, hot Florida. Charging is important, both for cell phones and battery-powered tools that are needed to make the inevitable repairs around the house. ♦ Cooling: This one is close to the top over every post-Irma survivor’s list. Central AC systems are power hungry, drawing 3000–4000 watts of 240 volt power, and are out of the question for most generators. However, this is not true of mini-split heat pumps, which provide cooling for only about 500 watts with available 120 volt models. Indeed, with efficiency and potentially using a central supplemental mini-split heat pump, the household would have air conditioning and be able to operate normally after the hurricane has passed. Such 120 volt systems are readily available from Home Depot and other home store outlets. Note that the above mini-split heat pumps can be set up so that they plug into an ordinary 120 volt wall plug, so that cooling will be available from the rooftop solar electric system after a storm. Moreover, it is important to point out, based on research conducted for both FPL and the US DOE, that having a supplemental mini-split heat pump in your home (similar to the above) will drop expected heating and cooling by an estimated 34%. We measured the 10 homes in our small study and found they saved an average of 2,010 kWh per year — worth $240 at average Florida electric prices. Figure 6: Central supplemental mini-split heat pump in main living room. That’s a huge savings from something that not only provides a redundant heating and cooling system in case of system failure, but also provides the potential ability to do cooling after a hurricane is passed. I’ll take another paragraph in this segment, however, to remind you that adding efficiency to your home as well as solar and battery storage trebles the value of your storm resiliency investment. Keep in mind that with all LED lighting, your nighttime electrical needs are reduced in the evening when you are using battery power, and internal heat release is lower. (Every watt you use inside your home releases 1 watt of heat that raises the temperature inside or requires more energy to remove with air conditioning. It’s also important to keep heat out during summer. With more ceiling insulation, a tighter home, and insulated windows, your need for cooling is lower and the noise from those neighbors’ outdoor generators is muffled. Plus, if you’re without power, the house warms more slowly with better insulation and with efficient interior appliances giving off less heat. Finally, with all that, your battery system — whether a full islanding system or an emergency battery from a plug-in car — can go much further. Homes that have a modest PV system with battery backup can provide all these essentials with batteries to make it through the evening with daytime charging of electrical storage. Thus, I make the point that Florida’s utilities should be incentivized to encourage home PV systems with storage. Currently, many investor-owned utilities remain adversarial towards rooftop grid-connected solar electric systems largely because of the loss of revenue from such PV systems. To the contrary, Florida’s utilities should be encouraging PV systems with electrical storage, which the utilities could manipulate to smooth out loads under normal circumstances. While the U.S. lags by foisting fees on PV modules, the rest of the world moves ahead into a clean energy future. Indeed, just today, Tesla announced a four year effort towards creation of a virtual solar power plant using 50,000 homes with rooftop solar and PowerWall2s located in South Australia. And while this effort will create a smoother residential power demand profile in normal times, in an emergency there would be huge advantages. Indeed, post-storm with no grid power, such systems would be a godsend to those who own them. With rooftop solar and battery storage, one essentially ends up with a house-level uninterruptible power supply — a UPS for one’s domestic kingdom. PLUS, if one has a plug-in hybrid or fully electric vehicle, one can charge the car with the rooftop PV system, providing gasoline-free travel — highly desirable given the long gas lines seen at service stations in the wake of Hurricane Irma. Moreover, if one has a Nissan LEAF with the emerging capability being demonstrated in Japan (as previously described) it might be possible to use the car as an emergency battery for vehicle-to-house (VTH) power. Tesla, GM, and Ford, are you listening? Vehicle-to-House (VTH) is a potentially transformative technology. Why? 1) Being deprived of power is not reasonable (or even healthy) given costs of solar. Note, in Puerto Rico, half a million are without power six months later. 2) Every EV or PHEV becomes a large, available no-cost emergency battery than can run the basic electrical needs of a home– particularly one that has been made more efficient. 3) Using standard Level 1 chargers, EVs or PHEVs can be charged with PV– typically at about 3-5 kWh per kWdc per day, depending on geographic location (4 kWh/day/kWdc is typical in Florida). As range is typically, 0.25 – 0.33 kWh/mile, this means about 10-20 miles of range added each average day per kW of PV dedicated to charging a car beyond needs for home power. And this advantage not only extends to Florida, but every place at risk of power interruption. Let’s face it, hurricanes can easily threaten the entire US Eastern seaboard. Also, hurricanes aren’t the only power blackout threat. Our friends in California and other seismically active parts of the US are susceptible to outages too, but from earthquakes. For other parts of the world, there are ice storms and similar power-loss risk. In any case, it’s easy to agree that an assured home power supply — household resiliency in the event of grid power interruption — is a good thing wherever one resides. Rooftop solar with batteries can make assured 24-hour power at home a reality today. This is not an imaginary promise for the future: solar with electrical storage systems are available now. The key ingredient in reaching this vision will be the progress towards lower electrical storage costs that may make rooftop solar + on-site storage a highly desirable home standard feature in Florida’s energy future.